When you choose us for your heating and plumbing needs, the job will get done right the first time. 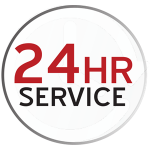 Our experienced staff and certified technicians are here to assist you 24 hours a day, 7 days a week! Our quality installations are backed by our Total Care Service Plan for two years. Call us today for a free estimate!